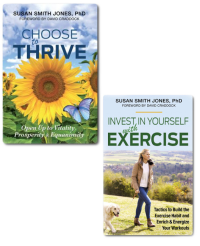 To listen to a radio interview on Gateway to Vibrant Health with host Valerie Hall where I discuss... Say Good-Bye to Colds & Allergies using OLBAS products, please click HERE. To listen to a radio interview where I discuss the healing beneifts of OLBAS products and why they are front and center in her home's Nature's Medicine Chest, click HERE. They Give You The POWER To Breathe… Naturally! We all need a little comfort from time to time ...especially when we’re not feeling well. That's where Olbas Herbal Remedies are unique. They help you feel better... Naturally! 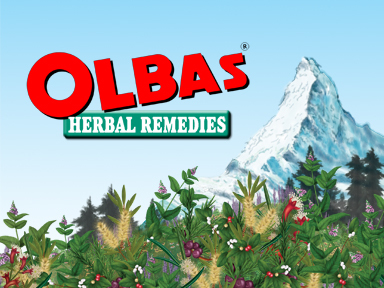 Expertly formulated in Switzerland, Olbas Herbal Remedies are designed to comfort and soothe you in many ways. I've been using Olbas products for over 40 years and they are always front and center in my nature's medicine chest. It was my grandmother who introduced me to the world-famous Olbas Oil when I was a teenager and I've used this remarkable oil ever since! It's one of the reason why I've never taken any prescription medication in my life. Originating in Basel, Switzerland over 100 years ago, Olbas continues to be a European and worldwide favorite. Olbas Oil contains six essential oils — each with a unique value of its own. Essential oils are nature's way of maintaining wellness. These oils are carefully extracted from traditional plants that have been the basis of healing in cultures around the world for centuries. Blended by Swiss herbalists, they make the Olbas formula truly unique. Peppermint Oil is recognized the world over for its signature minty, fresh aroma. The essential oil, distilled from the fresh leaves of the Mentha piperita plant, retains that powerfully refreshing fragrance. The penetrating vapors work quickly to enhance the breathing passages and maximize respiratory function. Peppermint’s primary compound, Menthol, produces a cooling sensation that relaxes tense muscles and alleviates minor strains and muscular discomforts. Aromatherapists also recommend Peppermint oil’s invigorating scent to enhance mental focus and concentration, increase alertness, as well as to ease tension and stress. For athletes, these unique properties may significantly help to improve athletic performance, not only by increasing mood and motivation, but also by enhancing the breathing passages, thereby maximizing oxygen intake. Eucalyptus Oil - Eucalyptus is an aromatic evergreen tea native to Australia and Tasmania. The powerful essential oil is synonymous with respiratory health, and it is found in many popular remedies, including chest rubs, liniments, and balms. The essential oil of Eucalyptus is well known for providing immediate respiratory support, promoting healthy lung function, promoting oxygen absorption, and relaxing the respiratory muscles. The herb tea made from Eucalyptus Leaves is also a traditional remedy for soothing a scratchy throat. The brisk, energizing scent of Eucalyptus clears the mind, enhances focus, and increases mental alertness. The stately Eucalyptus tree has found various uses over the centuries. Historically, the Australian Aborigines relied on Eucalyptus to relieve minor joint discomforts and sore muscles. That traditional application continues today. Cajeput Oil is distilled from the fresh leaves and twigs of the Cajeput tree. It has a slightly medicinal aroma that is reminiscent of camphor and eucalyptus oils. In Southeast Asia, the Cajeput tree grows abundantly. The people of Vietnam and surrounding countries highly regard Cajeput as a traditional remedy. It is known in their healing culture primarily for its use for muscular and joint discomforts. It is also used for promoting healthy skin, as well as for its benefits to the throat, sinus, and respiratory tract, being very soothing to bronchial and sinus passages. As an aromatherapy agent, Cajeput oil stimulates the mind and promotes clear thinking. When I have a difficult article to write or am preparing for several back-to-back radio interviews, I always rely on this oil, which is one of the ingredients in Olbas Oil. Juniper Berry Oil has a long history of use in massage therapy to soothe back, joint and muscle discomforts. On tired, achy feet, a sore lower back, or after a arduous workout, this oil works wonders and soothes the body from head to toe. My grandmother used to put this oil in my bath to help assuage my tired body after working for hours in her herb garden. Just the fragrance of it brings a smile to my face and heart. The penetrating essence enhances the breathing passages and supports healthy respiratory function. 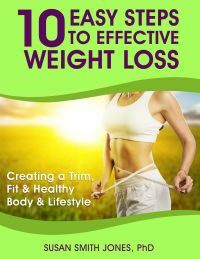 It also stimulates metabolism and supports the immune system. Aromatherapists suggest using Juniper’s uplifting scent to ease tension and stress, as well as to clear the thoughts. At one time, the twigs of Juniper were burned in French hospitals to help purify the air. Wintergreen Oil - Wintergreen is a North American evergreen shrub bearing bright red berry-like fruits. Historically, Wintergreen was highly regarded as a remedy by Native Americans, who considered Wintergreen to be a popular beverage tea, and also employed its use for minor aches, and to promote breathing. The essential oil distilled from the crushed leaves has a characteristic refreshing, sweet, mint-like aroma. It is readily absorbed by the skin, and is very warm and soothing. The primary constituent of Wintergreen is Methyl Salicylate, the active ingredient in numerous over-the-counter liniments and ointments targeting relief of pain due to arthritis, backache, overworked muscles, and sore joints. Wintergreen essential oil imparts a refreshing, uplifting scent that revitalizes the senses. NOTE: Wintergreen is a potent essential oil that should be diluted before use, used with great care, and kept out of the reach of children. The Olbas Oil formula contains only a very small amount of Wintergreen oil (less than 4%). Clove Oil is steam distilled from the bud of the plant. The highly prized essential oil from the spicy Clove buds has the well-earned reputation for soothing minor joint discomforts and promoting respiratory, digestive, and dental health. In fact, my dental hygienist wears gloves that have a faint fragrance of clove and they are really quite wonderful when she is cleaning my teeth. They make me want to breathe deeply, which helps keep me calm during the cleaning process. This strong, stimulating aromatic oil has a familiar warm, sweet spicy aroma and is a comforting aromatherapy fragrance. The synergistic combination of these six essential oils provides amazing sensations to your body at multiple levels. Olbas Oil has long been a household name that families reach for when suffering from seasonal distress and related discomforts. As an aromatic inhalant, this completely natural essential oil formula delivers invigorating and soothing sensations to the nasal and bronchial areas. Olbas Oil can be dropped onto a handkerchief or into warm water for inhalation during the day. At night, a drop on a tissue tucked inside a pillowcase can help stimulate and enhance your breathing passages so that you get a good night's sleep. Also well known for its use in massage, Olbas Oil tends to stimulate circulation at the surface of the skin. It opens up the pores and provides a comfortable warm and cool feeling in the muscles and joints. And if you want to light his or her fire, boost passion, and bolster libido, try using this oil on your partner and get ready for an unforgettable experience. Additionally, runners, cyclists, and other sports enthusiasts praise the value of Olbas Oil. Massaging with Olbas Oil helps loosen muscles and make them supple, while inhaling Olbas vapors may help support endurance and performance. The extraordinary benefits of Olbas Oil are compounded with other natural ingredients to create the other Olbas Herbal Remedies. 800-523-9971 (US & Canada) or 215-632-6100 (Intl), both ET, M - F • 9 - 5. 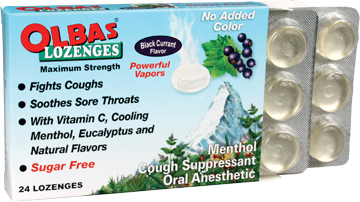 Olbas Inhaler — Natural Olbas vapors provide a pleasant, refreshing, and cooling sensation to your nasal passages. 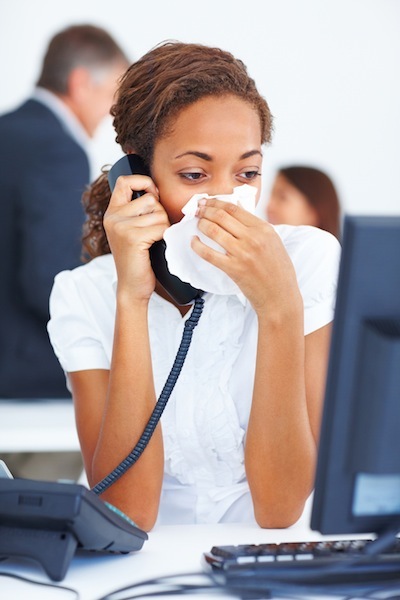 Especially beneficial during times of seasonal discomfort, low humidity and other unwelcome nasal encounters. Fast-acting, penetrating vapors provide an immediate, fresh and clean feeling in the nose, sinuses, and lungs. 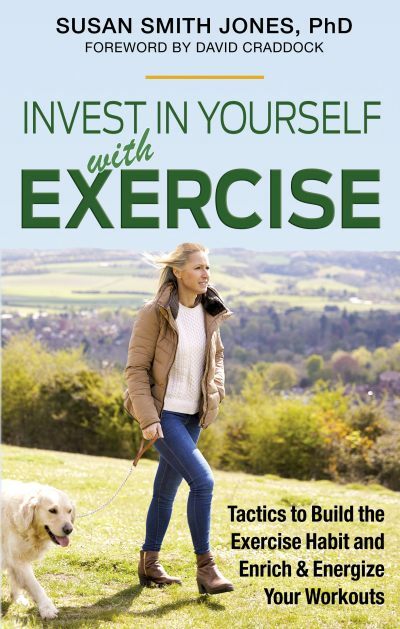 I get eight at a time so I always have one handy at my office desk, in my purse, in my carry-on flight bag, in my briefcase, in the pocket of my workout clothes, in my gym bag, next to my bed, and the final one in my car. Once you've used this Inhaler — and you'll want to use it a few times daily, you will wonder how you ever lived without it. It's a constant companion in my life. 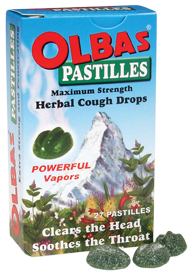 Olbas Pastilles — are maximum strength cough suppressant lozenges that have a powerful vapor action. They provide instant, cool soothing relief for sore throats and help you fight coughs. Powerful, cooling vapors help to make your nasal passages feel clearer, too! These extra-strong lozenges help you fight coughs due to minor throat and bronchial irritation that often occurs when you have a cold, or when you inhale an irritant, like smoke. They also have a natural anesthetic action that provides instant, cool, soothing relief for a sore throat. It features a natural formula compounded from soothing herbs and chlorophyll, which gives Olbas Pastilles their luscious green color — and helps freshen your breath, too! These long lasting lozenges are as powerful as they are soothing. The strength and effectiveness of these cough drops is extraordinary! Olbas Sugar-Free Lozenges — gives you maximum strength cough suppressant action that also makes your nasal passages feel clearer. These tasty lozenges help you fight coughs due to minor throat and bronchial irritation that often occurs when you have a cold, or when you inhale an irritant, like smoke or someone's offensive perfume or cologne. They also have a natural anesthetic action that provides instant, cool, soothing relief for a sore throat. Take one and breathe in deeply... you will notice almost immediately how the powerful, cooling vapors give you an intense feeling of increased airflow in your lungs and sinuses! It features a pleasant-tasting Black Currant flavor, combined with soothing Menthol, Eucalyptus and Vitamin C — a key immune system nutrient and a potent free-radical fighter. Olbas Lozenges are sweetened with ISOMALT, a natural sugar substitute made from pure beet sugar. They are suitable for use by those on sugar-controlled diets and by vegetarians. The body's enzymes metabolize ISOMALT much more slowly and less effectively than conventional sugar. Now gluten-free and color-free. 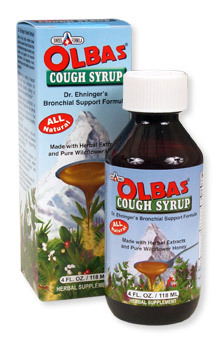 Olbas Cough Syrup — Five herbal extracts, six essential oils, and wildflower honey are masterfully blended into this highly effective yet pleasant-tasting cough syrup. Helps strengthen healthy lung function, and supports the mucous membranes in the respiratory tract, promoting clear and healthy bronchial passages. Provides natural antioxidants that support the immune system, easing the stresses of winter's insults and environmental pollutants. Great for both children and adults. Olbas Instant Herbal Tea — Discover the delicious taste and healthful benefits of this 100% natural herbal tea. 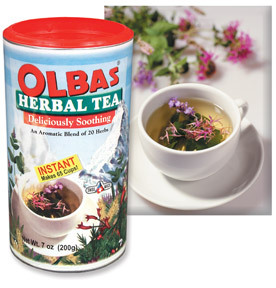 Carefully blended in Switzerland, Olbas Instant Herbal Tea is a mixture of 20 soothing herbs harvested from the earth's finest crops, enhanced with pure essential oils that make Olbas Remedies famous around the world. Provides a delightfully warm, soothing feeling you will enjoy at any time of the day or evening. Especially beneficial for relief from chills, and during times of seasonal discomfort. Has a delightful, Olbas-herbal aroma that provides a pleasant, refreshing sensation to your nasal passages. Gives you an immediate, fresh, clean feeling in the nose, sinuses, and lungs. Olbas Analgesic Salve — Rub on this soothing cream and you'll feel deep, penetrating relief for those minor aches and pains in muscles and joints. Get fast relief from minor pain due to the following ailments: Arthritis, Backache, Sore Muscles, and Sunburn. The greaseless formula quickly absorbs into the skin, providing warm, long-lasting, pain relief. Olbas Analgesic Salve is particularly effective to soothe common backaches, whether due to muscle strain, excess activity, or even inactivity. Also effective for relief from minor inflammation and discomforts from arthritis, strains, bruises, and sprains. The soothing vapor action of Olbas Analgesic Salve makes it a marvelous remedy for children’s coughs and colds. Simply apply generously to chest area. The natural vapor action helps them breathe better and relieves coughing — so they sleep soundly! Ever bothered by painful sunburn pain? 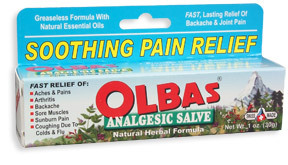 Try Olbas Analgesic Salve! It has a wonderful cooling effect on sunburn pain and provides fast relief. Olbas Herbal Bath — is a delightful, therapeutic, and fragrant bath liquid from Switzerland. It soothes and relaxes aching bodies as it tingles and invigorates all the body’s senses. Marvelous after a hard day of work, sports, or everyday tension. You can use it in your bathtub, or, for lots of bubbles — try it in a whirlpool bath! A little bit goes a long way. Or use it in the shower as a liquid soap as it makes an excellent body wash that will stimulate all your senses and leave you feeling clean and refreshed. Also excellent as a foot bath for tired, aching feet. You'll really enjoy the delightful aroma of Olbas Herbal Bath. Natural Olbas vapors provide a pleasant, refreshing, and cooling sensation to your nasal passages. This unique experience is especially pleasant during times of seasonal discomfort, which can often bring unwelcome nasal encounters. Provides wonderful relief for children, too! A warm, bubbly Olbas Herbal Bath helps enhance their breathing and helps them get a good nights sleep. Blended with chlorophyll, Olbas Bath also acts as a natural deodorant, so it keeps you clean and fresh. Provides a truly exceptional experience that can be enjoyed by the entire family!